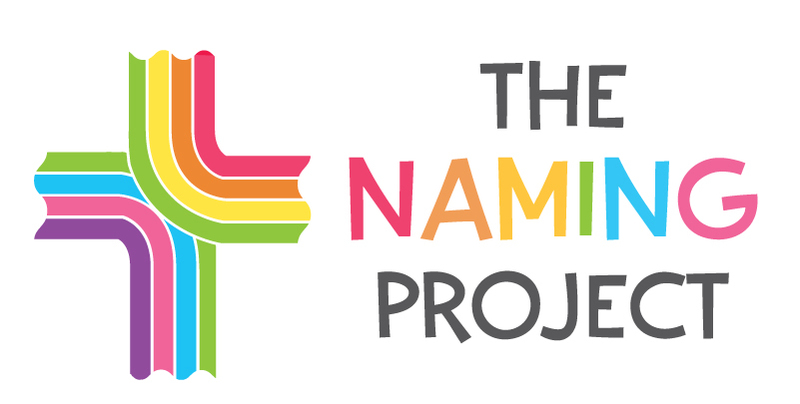 The Naming Project is governed and operated by a team of volunteers who actively minister to youth, run the program, and keep the organization going. They have been working since 2002 to create a program that will meet the needs of youth who are dealing with coming out, sexuality, gender identity, and faith. You can reach all directors by emailing staff@thenamingproject.org. Ross holds a BA in Youth & Family Ministry from Augsburg College and a MA in Outreach & Discipleship from Luther Seminary and is a consecrated Deacon in the Evangelical Lutheran Church in America. He has worked with youth and families in rural parishes, camps, multicultural urban congregations, college campuses, and has presented models of youth & family ministry all over the country. Ross is responsible for communication, fundraising, and development of the programs of The Naming Project. Ross is especially interested in helping youth cultivate a holistic identity that includes sexuality and spirituality. Greg graduated with a Masters of Public Health from the University of Minnesota, where he focused his research on the health behaviors of gay adolescents. He currently resides in Minneapolis and works in Quality Improvement for a health care organization. He spends his free time running, playing softball, practicing yoga, knitting, following sports, cuddling with his two cats, and waiting for camp week. Logan is a queer, genderfluid, transgender Christian who experiences the pervasive and persistent love of God every year at The Naming Project camp. They have a BA in Religion from Vassar College, served 2 years in the Episcopal Service Corps, and now work as a parish administrator in Berkeley, CA. Logan began as a counselor with The Naming Project in 2012 and began as a director in 2017. They believe that God is a breaker of barriers and a blender of binaries, ultimately concerned with the liberation of all peoples. No longer is there shamed and forgiven, saint and sinner, human and divine, or even dead and alive, for all have been set free. Danny Dwaine (DD) is a queer and gender fluid counselor with the naming project since 2012. With a Bachelor of Fine Arts in Dance from San Diego State University, DD brings his understanding of dance as beautiful cathartic release and confidence building to the campers. DD has four years of experience with Family Health Centers of San Diego as a HIV Test Counselor and Substance Abuse Counselor, working with LGBTQ identifying youth at high risk for Sero-Conversion, Suicide, STI transmission and Substance Abuse. Being a part of The Naming Project brings beautiful completion to DD’s spirit. He loves getting the chance to encourage the young leaders and ambassadors of tomorrow as they blossom and learn to trust in their faith and empower themselves to accomplish goals that seem unattainable. Susan (“Mama Sue” to most campers) is an ordained pastor in the ELCA. She grew up a missionary kid in the Philippines, and moved to the US as a teenager, attending high school and college in Mississippi. A former English teacher, she has a Bachelor’s degree in English and a Master’s degree in Education. For four years she worked in public relations for the Goodman Theatre in Chicago, and then Attended Pacific Lutheran Theological Seminary in Berkeley, California. She received a Masters of Divinity in 2002, and has been a parish pastor in Iowa, Illinois, and Wisconsin. She is currently a pastor at University Lutheran Church in Seattle. Ray has been coming to Bay Lake Camp, the camp where The Naming Project is held, since he was eight years old, first as a camper, then as Jr. Staff, and then as Head Chef and Assistant Director. Ray’s passion for camp and urban youth ministry drives his heart for this work. He is a founding member of, “Heavenly Day Cafe & Catering” training youth and young adults honing hospitality, cooking, and life skills. Kelly is the proud mom of three “almost all grown” kids. She is a creative thinker, teacher, curator, designer of faith formation, and Director of Children & Family Ministries at Edina Community Lutheran Church in Edina, MN. Kelly is also passionate about the ministries of online engagement, and spiritual care, with a fondness for Mexican coffee, non-fiction, and community-building arts. She enjoys the energy of the city and quiet early mornings in the woods; experiencing new people, cultures, and traditions; and new ways of learning. She is a graduate of the University of St. Thomas, with studies at Texas Lutheran University, Golden Valley Lutheran, and the University of Minnesota. Megan is a child of God and Director of The Naming Project. She passed away unexpectedly but peacefully in her sleep, September 19, 2017. Megan served at Georgia Tech’s Lutheran Campus Ministry and then at Chicago’s South Loop Campus Ministry. She also served Chicago’s Christ the Mediator Church and Trinity Lutheran Church in Warrenville, IL. She was a pastor, a friend, a sister, an aunt, and the owner of two English Springer Spaniels. Megan received her MDiv degree from Trinity Lutheran Seminary in Columbus, OH and her BA from the University of South Florida. Megan loved to read, laugh, ask questions, tell truths, and spread Christ’s love to everyone she met. Due to the outpouring of donations following Megan’s untimely death, we are establishing the Rev. Megan Jane Jones Memorial Scholarship. This scholarship will cover a full camp registration and transportation costs to attend. Visit the Summer Camp page to learn more.